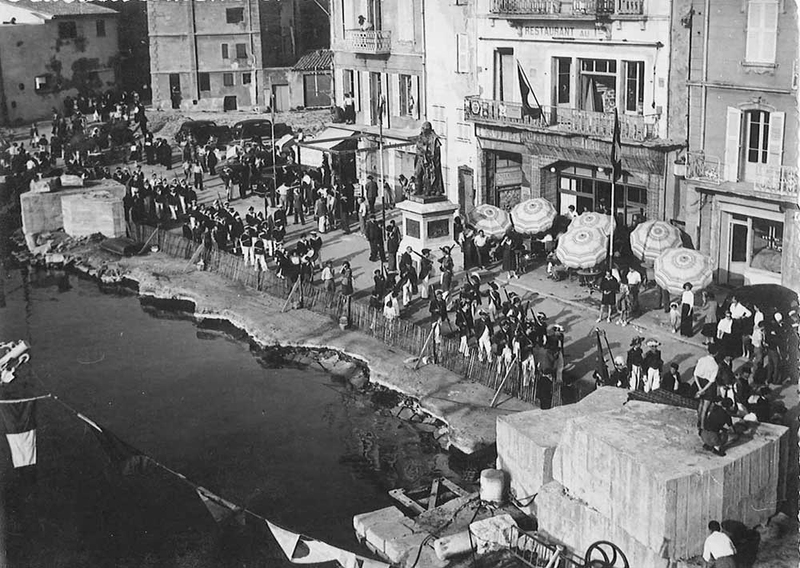 In the XIXth century, the SUBE was a stagecoach relay, before becoming the mansion of the Marquis Alban Martin Roquebrune that will erect the famous statue of the Bailli Suffren, located just in front of the building. 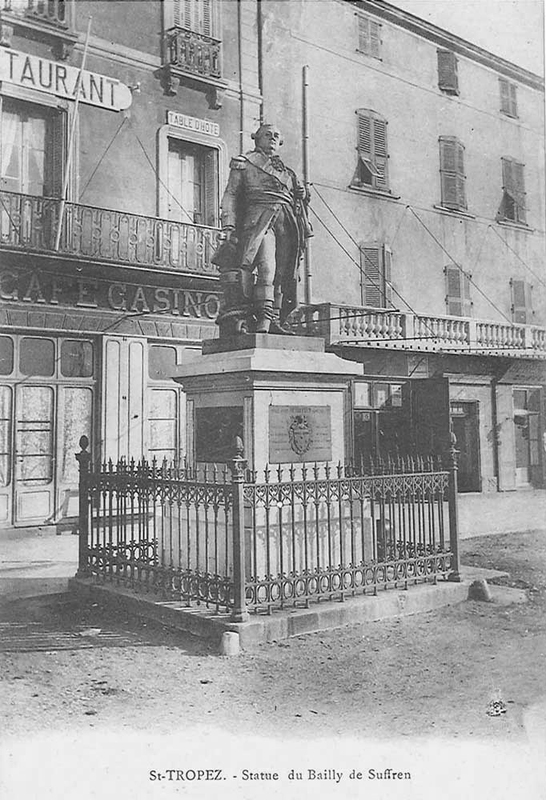 Alexandre Dumas attended the inauguration of the statue on April 4, 1866. He probably settled at the Cafe de la Marine, former name of the SUBE to write his article for the magazine “L’illustration”. It is at this moment that the building becomes, strictly speaking, a real hotel . Another famous writer who frequented the place, Guy de Maupassant. 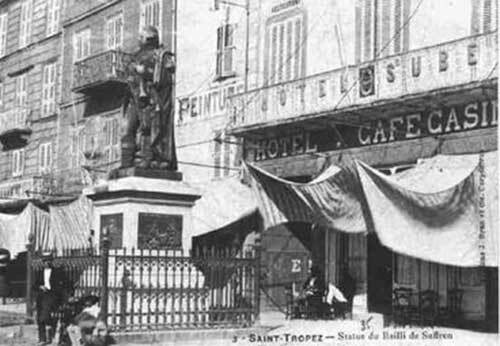 He describes the hotel in his book “Sur L’Eau” in 1876, naming it “Hotel du Bailli de Suffren”. Then, the hotel changes ownership and becomes “The Continental”. Eugene Sube, a traveling salesman falls in love with the owner and from their union was born the hotel SUBE & Continental, then finally, the SUBE. Many writers and artists frequent the SUBE: Paul Signac, the fauvists Camoin, Manguin or the writers Colette and Apollinaire. 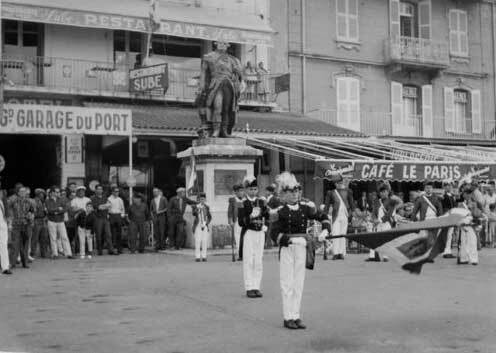 Orson Welles even set up his easel there to paint a scene of the Bravade which celebrates each year the military and religious history of Saint-Tropez. 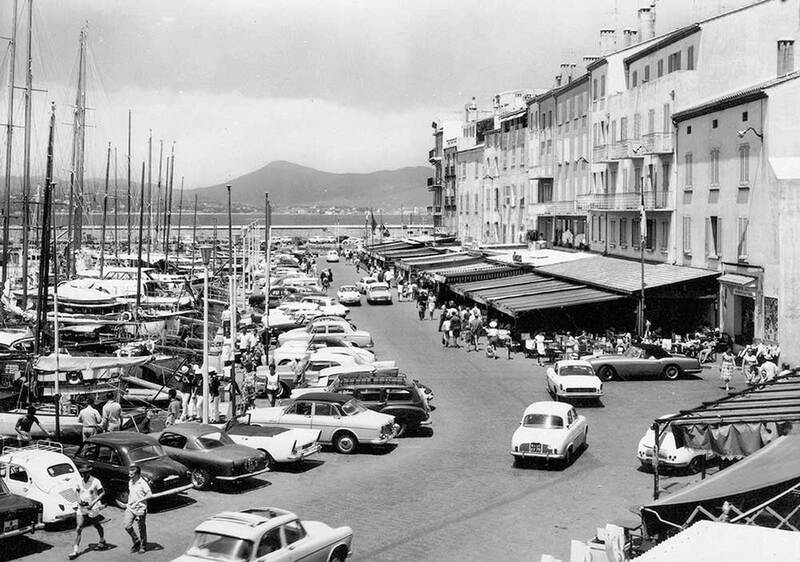 In 1986, Jean-Louis Carré, passionate lawyer by the sea, buys the hotel and transforms it into a true marine sanctuary thanks to the rise of the Nioulargue (Les Voiles de Saint-Tropez). 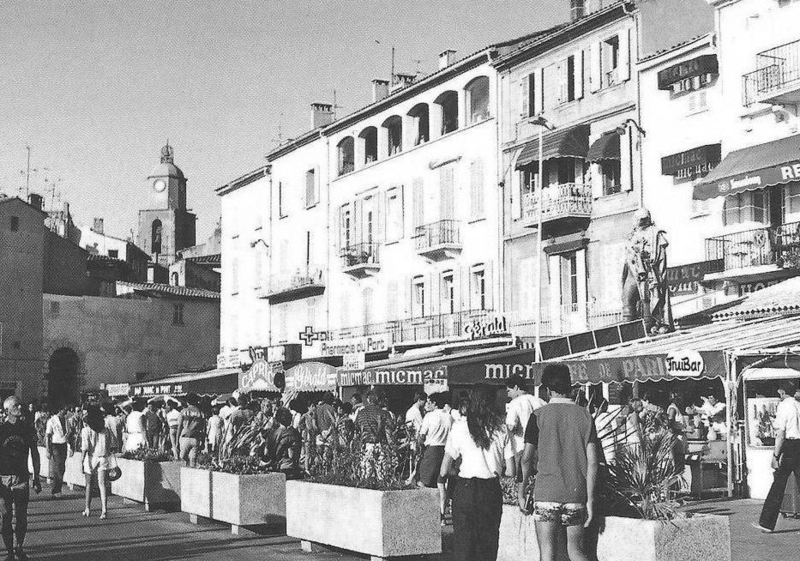 He will sell it in 2012 to Geneviève and Bruno Walther who owned the Graniers Beach. Passionate about the sea, they will not stop to maintain the traditional spirit of the establishment and increase the comfort of the place. The lounge bar will be decked out with more leather chairs and banquettes to support the Club spirit.